The magician other magicians hire to create their magic for them! Professional, polished and simply incredible. Chris Stolz is one of the top magicians in Canada and it's easy to see why. 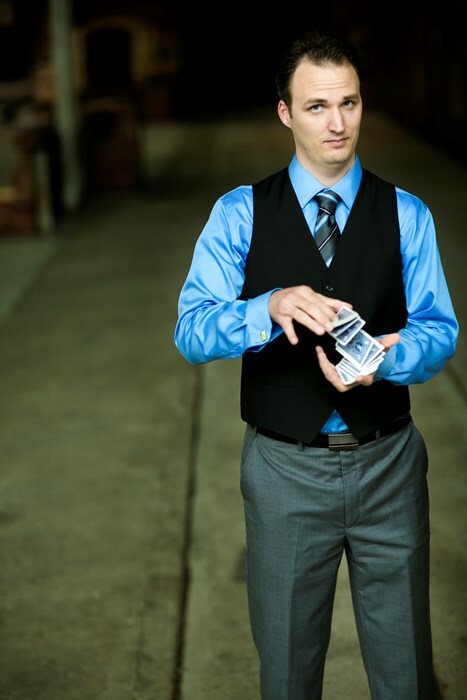 Chris' career consists of thousands of magic performances for private, corporate and large community events all over North America. 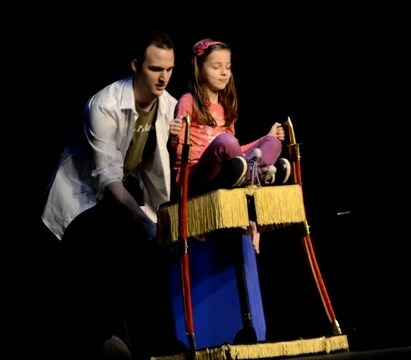 This Mississauga magician is not to be missed! You name it he's done it. Television, film, stage and private events all over North America. Whether you are holding a private party for 40 or a corporate event or wedding for 400, Chris can cater his performances to fit any size crowd. Chris has always dared to be original, creating new and exciting magic to astound his audiences. So much so that other magicians hire him to create new illusions for them. When he isn't on stage Chris is inventing, designing and consulting for other magicians all around the world. His creations can be seen on stages all over the world in theatres, cruise ships & major casinos. 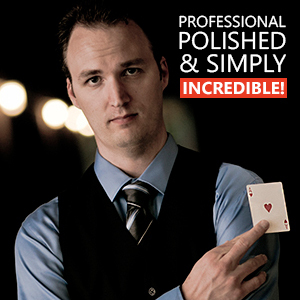 Simply put, he is one of the most polished and consistent magicians in the business. When clients like President's Choice, The Government of Canada and the Heart and Stroke Foundation need to book and act they can depend on, they don't take risks...they call Chris! This is the kind of magic that has made Chris famous among magicians and audiences alike. Your audience can watch the magic unfold right from just inches away and often in their own hands! Known all over Canada as one of the top card magic and card cheating experts in the world. This has to be seen to be believed! The most popular show, a stand-up show can play to 50 or 500. This show includes plenty of audience participation and original material that has been polished over a long and successful career. Your audience will be absolutely spellbound! This is the full stage show featuring the perfect combination of stand-up magic and spectactular grand illusions. Building on the stand up show, it's time to get Vegas! Appearances, vanishes, a levitation and the most perplexing giant puzzle you've ever seen. Please note Chris Stolz will also travel to Oakwood, Downsview, North York, Weston, Willowdale, Etobicoke, Fisherville, Thornhill, Concord, Scarborough, Woodbridge, Maple, Richmond Hill, Markham, Mississauga, Kleinburg, Locust Hill, Brampton, Gormley, Springbrook, Whitevale, King City, Oakville, Pickering, Ajax, Nobleton, Stouffville, Bolton, Brougham, Hornby.